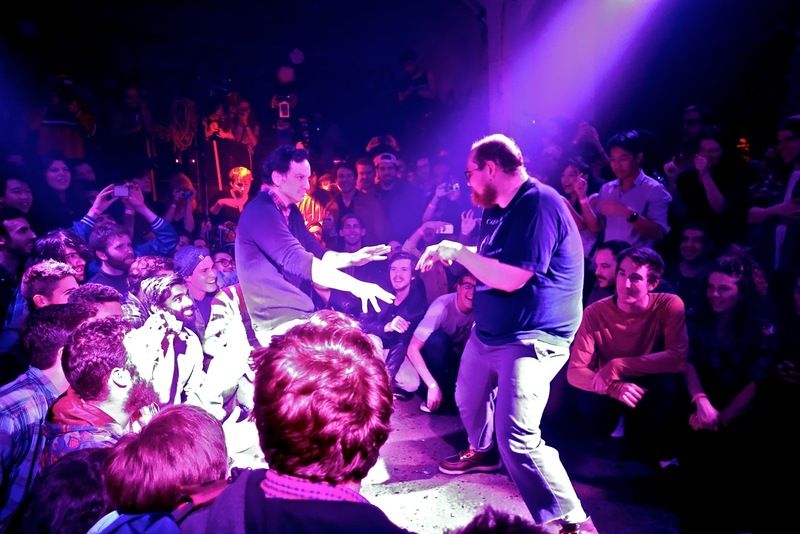 Quooklynite: Dan Deacon @ 285 Kent Ave.
Dan Deacon @ 285 Kent Ave. 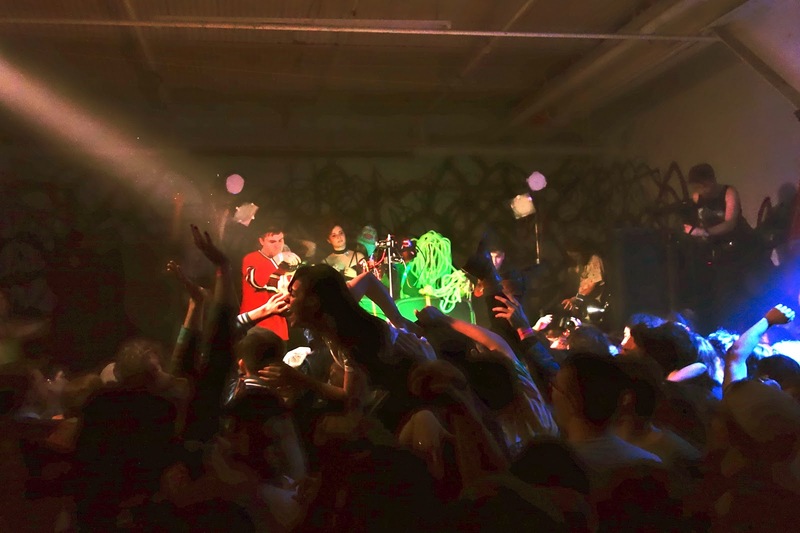 In its three year run, 285 Kent had become quite the DIY success story as an artist-friendly venue that bands loved to play. 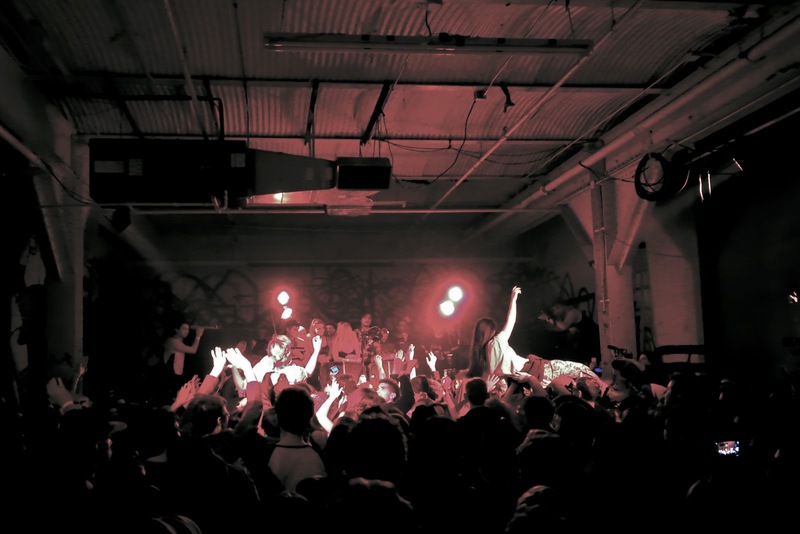 The welcoming environment hosted a wide range of musical acts from a wide cross section of the sonic landscape, including hip hop, noise, electronic and DJ music. 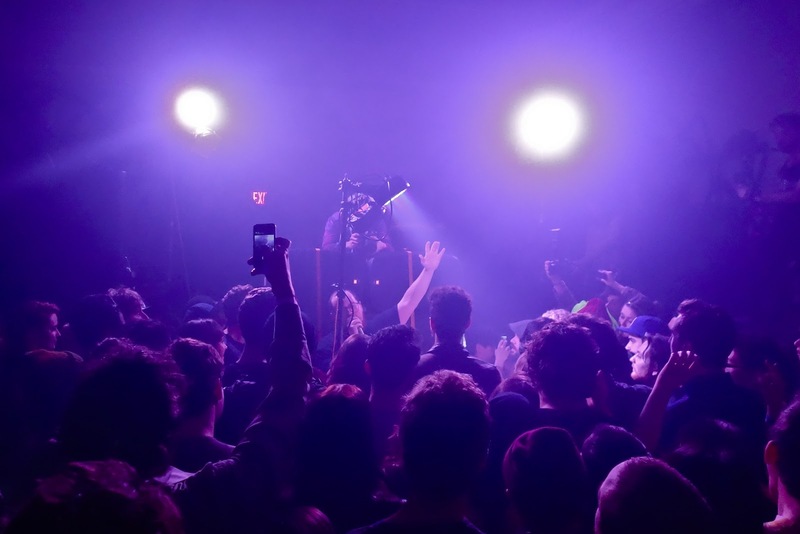 From Grimes to Pharmakon to the mega-event that was Odd Future crashing Trash Talk's show, 285 was a place for open minded music fans to hear what's next and for adventurous artists to safely experiment. It wasn't just another glossy Williamsburg hipster haunt for run of the mill, four-piece indie bands. 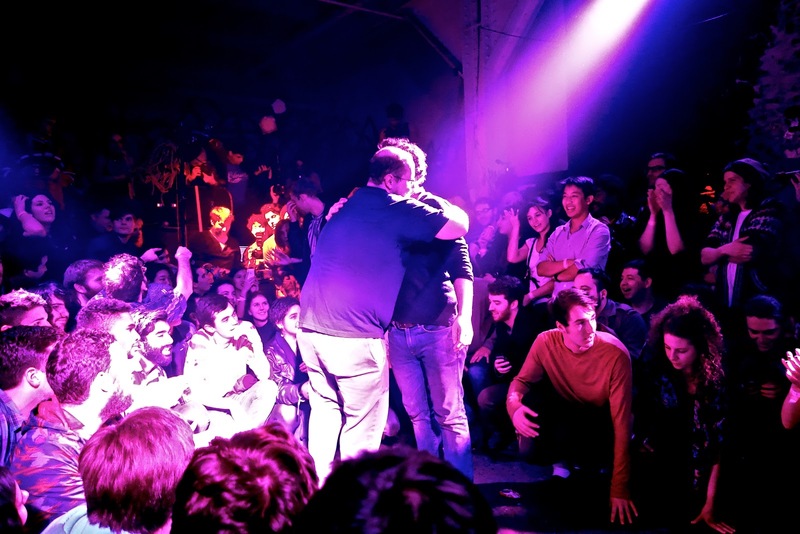 Appropriately, owner Todd P invited Dan Deacon, a composer of avant-electronic anthems, to headline one of 285's final nights. Deacon, an artist whom P had long championed, came to the (area in front of the) stage and broke out a recording of Queen's We Are The Champions. Many in the crowd sang along. Between choruses, Deacon hyper-ranted about how insane it was to consider that Freddy Mercury -- or any human being for that matter -- could write such a glorious song. He led up to the final chorus shouting, "...and then this just pours out of your brain!" The chorus blasted and the sold-out crowd sang along emphatically. 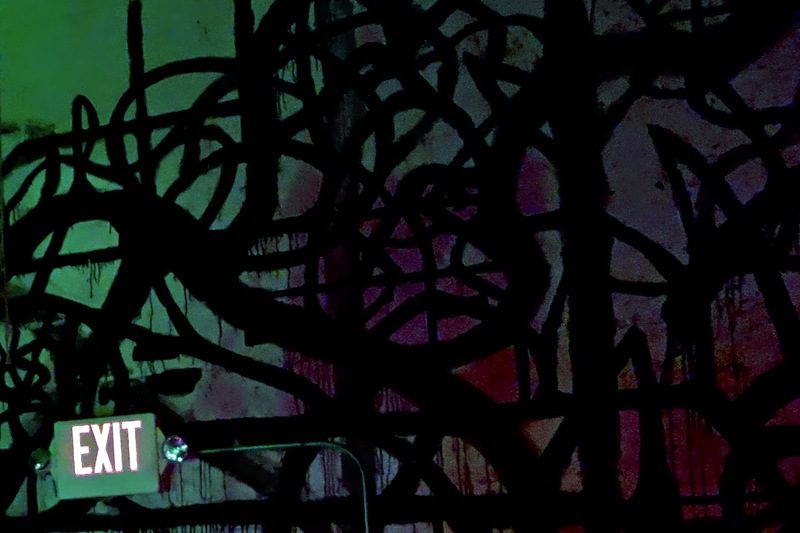 It was clear from the start that this night would not be a mourning for the demise of 285 Kent. 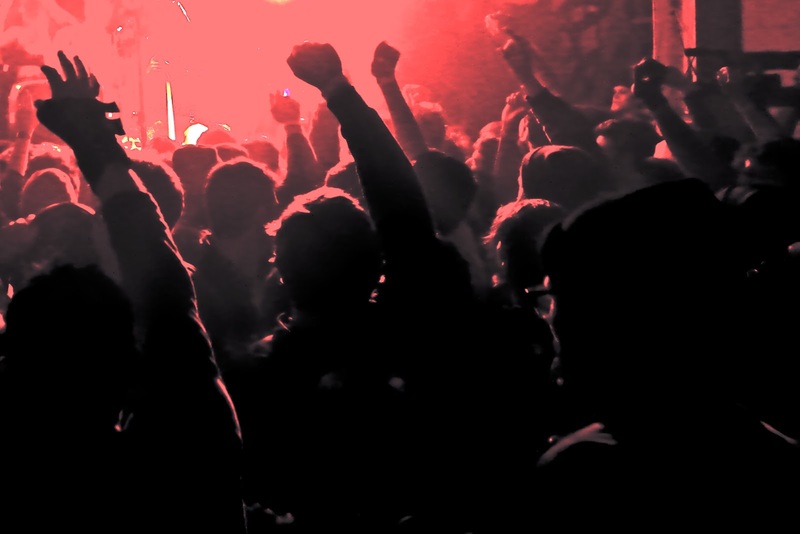 It would instead be a celebration of music itself and the power it can have to bring people of all shapes and sizes together in communal fashion. Deacon worked his magic in front of the stage, allowing crowd members to come onstage until he was enveloped by those in attendance. The set-up was simple. One man, his computer, a mic, and a single, strobing light. The simplicity resulted in a memorable experience. 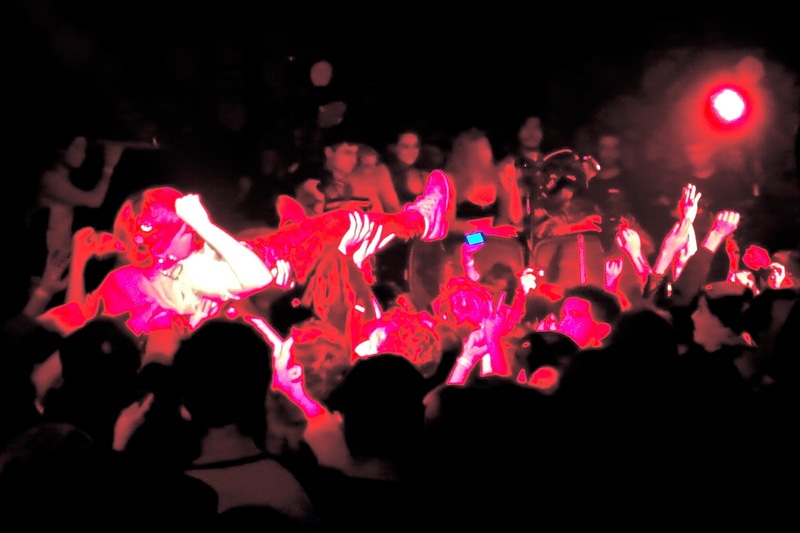 Throughout his set, the crowd jumped up and down here, writhed about there, always in unison. Deacon makes intelligent party music. What sounds like hundreds of instruments (and with the recording of Rail, it's not far off), the music had people moving from the start, changing up without notice, and always crescendoing to a frantic climax. His songs are classical in nature, but something like Woody Woodpecker's laugh may be chopped into bits, rearranged, and repeated to form the rhythm of the song. His vocals were high-pitched and cartoonish, only adding to the spastic nature of things. 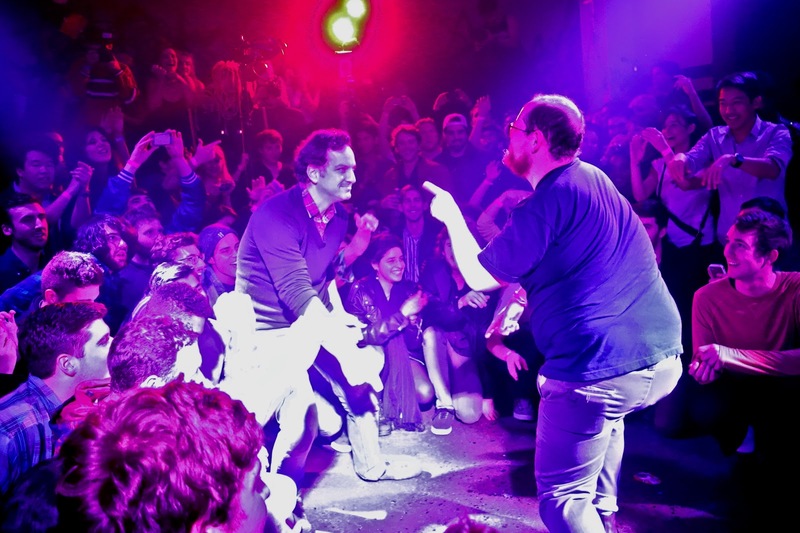 Dan Deacon makes classical music for people who are more crystal meth than chardonnay. Ever the showman, Deacon the MC connected with the crowd in between songs. At one point he took it further, instructing everyone to open up a circle in the middle of the floor and kneel around it. 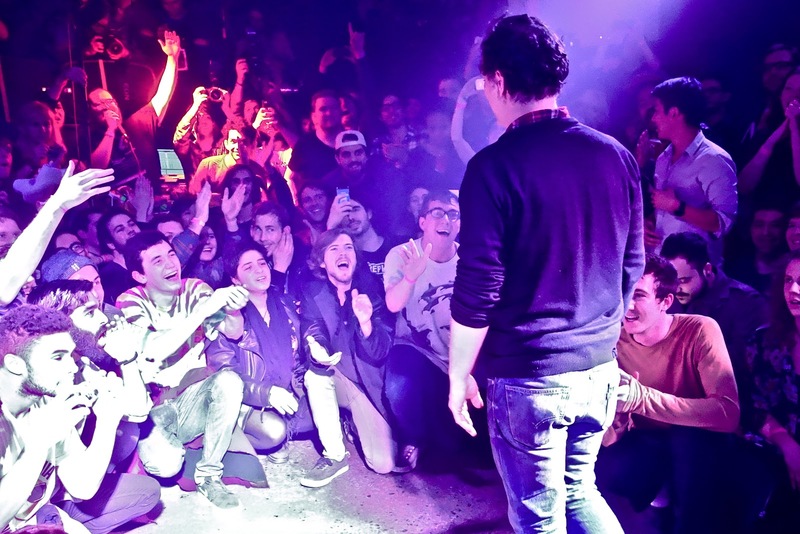 Having already earned the crowd's trust, everyone obliged. He asked Todd P to come into the circle for a dance off. As the owner made his way, Deacon attributed his success in great part to P and explained how the owner was "all of the Batman villains and Spiderman heroes in one person." Patrick challenged Deacon to a dance-off. It wasn't pretty (see below), both guys moved back and forth laterally, palms out, until P did a forwards leapfrog over Deacon. They each tagged in a member of the crowd. It turned into a bromantic comedy before a few gals were pulled in, elevating the dance moves. Soon all were dancing. For the finale, the crowd again followed instructions and took out their phones to open the Dan Deacon App. Yes, he has an app. Deacon transmitted onto about 40 phones, turning them into microphones with pulsating lights. The crowd grew silent as Deacon played the track on the phones. It was all very Zaireeka. After a few minutes of dancing to an iPhone beat, Deacon engaged the sound system, shifted gears, and floored it. The crowd went wild. A bartender crowdsurfed from the back of the room, getting to the stage just as Deacon finished, landing a foot from Todd P. She was a champion! We all were on this night.